Jim Brigham is a Partner of Warson Capital Partners. With many years of experience in finance, investments and entrepreneurial management, Jim provides a wealth of knowledge and years of success in private equity to Warson’s clients. He focuses on recapitalizations, turn-around situations, and sourcing capital for growth companies as well as buy-side and sell-side merger and acquisition transactions primarily in our healthcare services and life sciences practices. From 1985 to 2001, Jim served as President and CEO of Diagraph Corporation, a family business and manufacturer of industrial bar coding and product identification systems, which the family successfully grew and subsequently sold in 2001 to Illinois Tool Works. He served as Chairman of the New York City Public Development Corporation from 1981 to 1985, and Budget Director of the City of New York from 1978 to 1981 during which time he successfully guided the City out of near bankruptcy. Jim began his career with J.P. Morgan & Company in mergers and acquisitions from 1969 to 1978. From 2004 to 2014, Jim served as a partner at Healthpoint Capital of New York, a private equity firm exclusively focused on the orthopedic and dental device markets where he served as Director of the firm for six years, and was CEO of a portfolio company Biolok International, Inc., a dental implant manufacturer combined with BioHorizons Implant Systems, Inc.
Jim also serves on the board of directors of Vertebral Technologies, Inc. of Minneapolis and Asclepius Laboratories, Inc. of Boston. Jim is Chairman of the Board of Nest (www.build-a-nest.org), a New York-based non-profit that supports artisan businesses around the world, and President of the Board of North Side Community School, a highly-successful charter school in St. Louis. 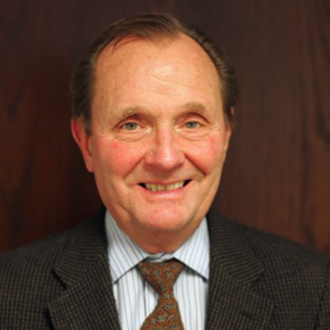 He has served on the boards of numerous charitable organizations in New York and St. Louis. Jim received his Bachelor of Arts degree from Duke University and a Master of Business Administration from the University of Chicago.